If you have recently stayed in a hotel then we can relate to that sad feeling you get when you first arrive back at home. All of the luxuries you had while away are things that you just can’t seem to get them out of your mind and you shouldn’t have to! These days, more and more things are available in the comfort of your home. Sure, they aren’t exactly the most affordable options out there but if you want to live like a King or Queen then you need to make exceptions. Prices have definitely gone down recently because there are always new things coming out and what was considered ‘new’ a few short months ago can quickly become ‘old news’ and with lower demand means better prices. One of the things people tend to miss the most about their hotel room is the bed. Let’s face it, most of us have had our beds for a very long time and it shows. You just don’t sleep as well as you used to and those indents are not going to come out anytime soon. If you don’t frequently flip your mattress and sleep in new locations, you are going to have permanent indents where you sleep the most. Two of the most popular types of beds these days are Sleep Number and Tempurpedic. Both are great; it all depends on what you enjoy the most. If you and your partner want to be able to have a unique sleeping experience then you may want to go with Sleep Number because you can add or remove air at will to make the bed softer or harder. As far as Tempurpedic, it is like sleeping on a cloud. It’s amazing how it keeps its shape and forms so beautifully with each part of your body. If you move around a lot and don’t want to disturb your partner then this may be the best choice for you. The Sleep Judge provides a much more comprehensive review of the Tempur Pedic Cloudprima. Another thing many people enjoy when away from home is entertainment in the hotel. 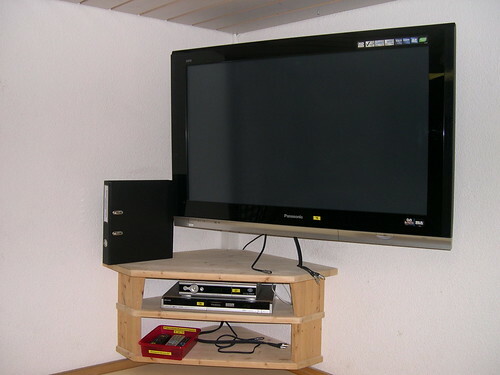 Many offer not only HD televisions but 3D as well. The great news is, there has never been a more perfect time to invest in your own new television or surround sound system; especially with the holidays on the way. There are already some great sales so be sure to shop around. A lot of things may go on clearance because of new products constantly coming out. One of the best ways to get those much-needed mini-vacations is by decorating your backyard to feel like your own little slice of heaven. You can do this by simply adding plants and flowers, maintaining your yard and getting rid of things you no longer need and adding a pool and/or hot tub. It’s amazing how far simple changes can go and they are much more affordable than you may think. Kelly Smith has been doing freelancing work for the website GrantElevators.com.au. She is an interior designer by profession.